Cute and fashionable for all her play stuff jewelry, makeup and more. Canvas bag features printed in black font "Flowergirl" sentiment. 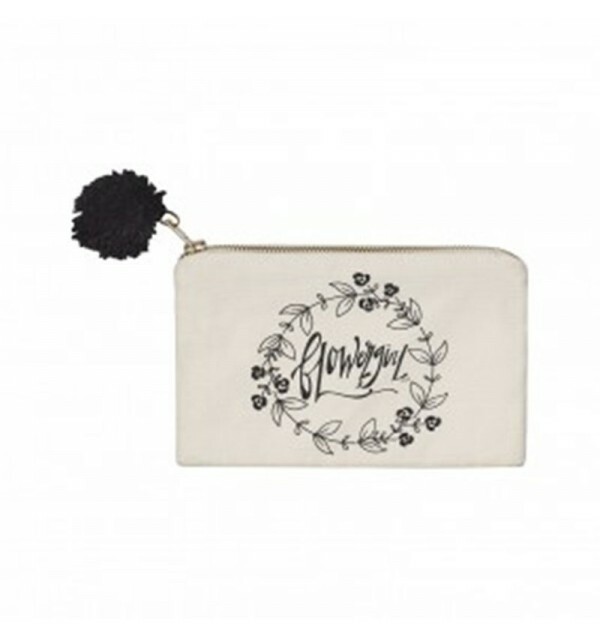 Adorn with a black pompom zipper pull.